Jason Neumann RE/MAX Kelowna Real Estate: Facebook To Launch Subscribe Button Tomorrow! 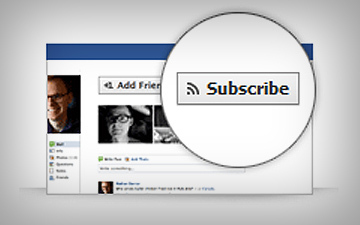 Facebook To Launch Subscribe Button Tomorrow! Mark this coming Wednesday on your Facebook calendar as the Social Media giant adds a new twist that will allow you to have greater control over how your Wall Feed receives and streams info. Facebook has launched a Subscribe button that lets you follow the public updates of others, regardless of whether you’re Facebook friends.